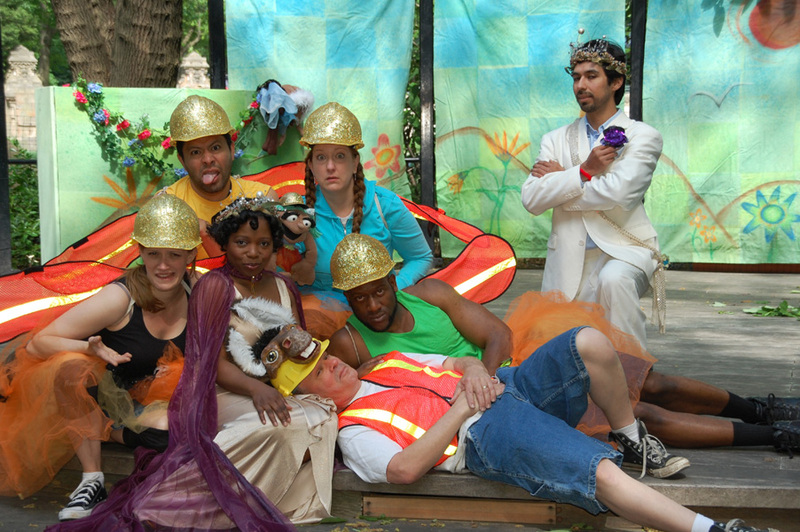 PLG Arts presents DAYDREAM directed by Rohana Elias-Reyes in Prospect Park’s Imagination Playground every weekend in June: Saturdays at 11a.m. and Sundays at 3p.m. All Performances free, no reservations required, seating on the ground. NYtheatre.com calls the show “can’t miss children’s theatre that Shakespeare lovers will truly appreciate,” this year with more magic, music, and puppets than ever. Free post-show art-making activities for children included, or bring your kids’ bathing suits for a splash in the dragon fountain. Visit: www.PLGArts.org or call 718-393-7733 for more information. Our local state Senator Eric Adams has helped with funding for the show. The Prospect Park Alliance has been a very supportive host since the beginning. The Maple Street School, John Hus Moravian Church, and Almond Tree Daycare have all provided rehearsal space. The production of DAYDREAM has been a real Prospect Lefferts Gardens community effort. The Imagination Playground is located in Prospect Park midway between Lincoln Road and Parkside Avenue. Enter the Park from Ocean Avenue between the Prospect Park (Lincoln Road) Subway stop (Q,S) and the Parkside Avenue Subway stop (Q).